A Chelsea favourite is moving to the heart of the West End and FIG is moving into this stunning concept store too. After twelve years on the King’s Road, The Shop at Bluebird has moved to a spectacular new space in the heart of Covent Garden.The 19th century Carriage Hall on Floral Street will house a unique mix of fashion and beauty over three floors and 15,000 square feet but will also house an ever-evolving selection of original works and prints from the Fashion Illustration Gallery. 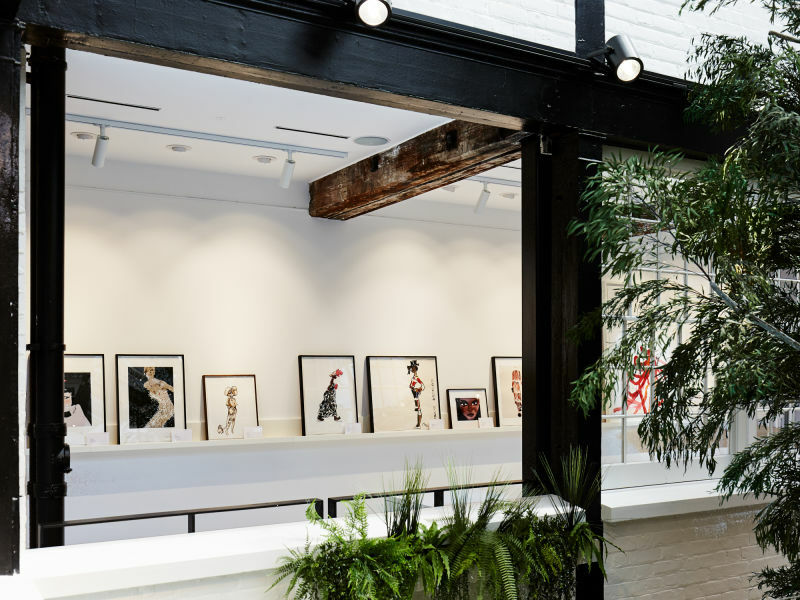 With a glass-roofed atrium the Grade II listed building is flooded with natural light and this summer a roof terrace and restaurant will open making this our new favorite place to shop for fashion, browse wares from Fornasetti or the Avery Perfume Gallery and pick up work from FIG artists.